Since we’ve been in New Zealand, we’ve been fortunate to have a lot of honest chats with US ex-pats. It sounds bizarre that seeking out another outsider would help us understand where we are; but we’ve learned that sitting down with another American, who’s been in NZ for awhile, really helps us make sense of Kiwi culture (particularly the parts which seem, to us, like a complete contradiction). Traveling to NZ, we joked before we left, would be like a gateway drug. With the same spoken language and similar customs, it would be a gentle way to ease into international touring. The reality of our experience has actually been the opposite; and, in many ways, it seems like it would have been easier to adjust to international travel if we had gone to a completely different country, with a different language and noticeably different customs. What we’ve discovered is that, in NZ, about 90% of daily life is almost exactly what we’re used to from the US. It’s similar enough that we joke about NZ being a sort of “bizarro world” – and we can sometimes forget that we’re actually in a foreign country. The remaining 10% of daily life, however, is so immensely different that it jolts us each time we encounter it. Why does a country with such a strong history of tramping put pedestrians at the bottom of the road culture? How did ‘traditional kiwi camping’ evolve into pitching your tent a mere three feet away from your neighbor in an open field? The weird thing about experiencing culture shock in a place like NZ is that you never expect it – there isn’t a constant and glaringly obvious reminder that we’re not in the US. To buy food, we go to a supermarket, pick things off the shelves, go through a checkout line, pay with our debit card – we don’t have to haggle over the price of loose spices in an open-air market. 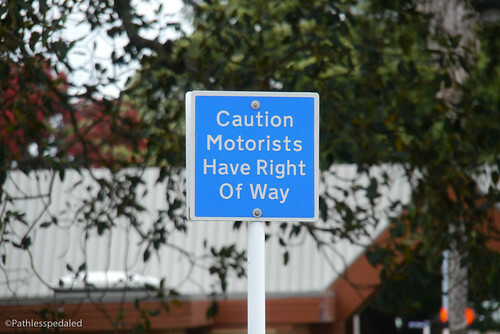 Sure, Kiwis use some different words and their traffic signs have a slightly different design, but the overall pace of life is so similar to how we do it in the US, that we’ve effectively been confused into expecting things to be entirely the same. Which makes a bit of a mockery of one of the most important travel rules – learn how to stop translating everything into something more familiar and just let a place be what it is. When I lived in Spain, I eventually learned to see a chair and think ‘silla’ instead of thinking, ‘okay, that’s a chair, what’s the Spanish word for chair? oh, yeah, it’s silla.’ Because I wasn’t in the US, where that object is a ‘chair,’ I was in Spain, where it’s a ‘silla.’ But, here in NZ, because it’s not overwhelmingly obvious that we’re in a foreign place, it works just fine to continue to interpret things through my US eyes. Until, at some random moment, it doesn’t, and I feel like that stereotypical American tourist who expects everything to be like the US. So, here we are, two months into our NZ adventure, and we’re still struggling with random moments of culture shock, and trying to make sense of the very big cultural differences that lay just under the surface. We seek out conversations with local folks who can tell us how that works or what this means or why they do it a particular way. And when we have a chance to sit down with some US ex-pats, who are a few immersion steps ahead of us, we jump on the opportunity to let them interpret the differences in a way that makes sense to us – so the next time we run into the same situation, it’s a little less confusing. Great to meet and talk to you both today. You’ve taken some great shots of the trail too!! All the best for the rest of the trip in NZ. Can you give us some actual examples of the culture shock you have experienced?